Replacing connections is extremely useful when you need to link your parametric view with multiple PLCs. 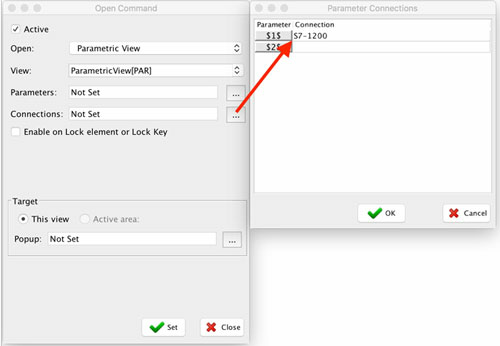 Link your parametric view with specific PLC by passing the connection parameter at opening command. As you can see, we are passing a connection to S7-1200 PLC by the first connection parameter $1$.